DOLs 90-day comment period expired Tuesday and will be followed by public hearings the week of Aug. 10. There’s a “misalignment between the person giving advice and the best interest of the client,” Perez said. Should brokers be required to put clients’ interests first? 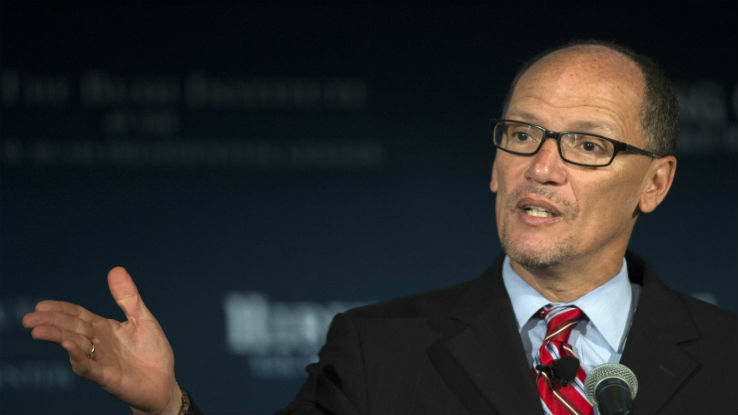 Labor Secretary Thomas Perez told lawmakers Tuesday that the question is “shifting” from whether they should to how to best implement that requirement. In testimony Tuesday before the Senate HELP Committee’s Employment and Workplace Safety subgroup, the same day the official comment period closed on DOL’s rule to amend the definition of fiduciary on retirement advice, Perez told lawmakers that while DOL has yet to make any “final decisions” on how to amend its fiduciary redraft, any final rule will incorporate changes. DOL’s 90-day comment period expired Tuesday and will be followed by a series of public hearings the week of Aug. 10. The comment period will reopen on the day of the hearing and remain open until 14 days after the hearing transcript is published — a process DOL anticipates will provide an additional 30 to 45 days of public comment. There has been an “undeniable shift toward the need for a best interest standard,” Perez added. Comments continued to flood into Labor on Tuesday, both for and against the plan. The Financial Planning Coalition, comprising the Certified Financial Planner Board of Standards, the Financial Planning Association and the National Association of Personal Financial Advisors, sent a 35-page comment letter “strongly supporting” DOL’s proposed rule to amend the definition of fiduciary under the Employee Retirement Income Security Act.